Do you need to refresh your devotional life? I think that the pastor telling his stories is a start but there need to be testimonies from the pews. So, having non-leadership people give testimony is important. On that topic, testimony shouldn’t really be about how I shared my faith with somebody but about what Jesus is doing, how in practical and supernatural ways is God revealing His goodness. This is what will inspire people. This is what people can share with others. I think people don’t share their faith because most of what they know, if anything, is head knowledge and they think evangelism is about sharing head knowledge and getting people to agree with them. 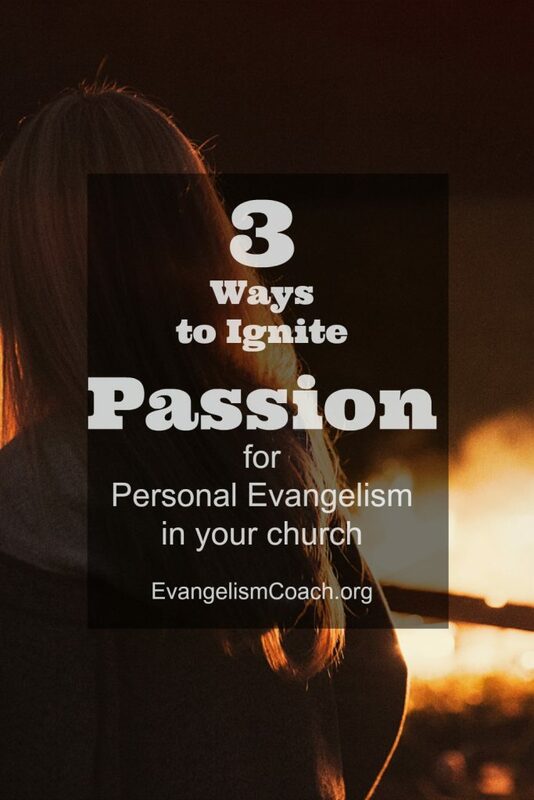 I think evangelism starts AND continues with an experience of the “euangelion” of God for ourselves and continuing encounters with the risen Jesus. I also agree with Mike. I believe someone in leadership at the church have to show that evangelism has been operationalized in the church. In other words, it has to be part of what the church is. It is equally important that the congregation know that it is their job, not a task of the Pastor. Is it OK to report the first paragraph on my blog, sending my visitors back to this post? This is a great post that needs to be shared.